January 22 – Paris St-Germain have been fined what many might view as a token €100,000 fine over alleged racism within its scouting system. Late last year the website Mediapart, basing its allegations on Football Leaks documents, claimed PSG had until the spring of 2018 racially profiled young players in order to limit their number of black academy players. The club allegedly listed the origin of players in four categories: “Francais” (French), “Maghrebin” (North African), “Antillais” (West Indian), and “Afrique noire” (Black African). The French league’s disciplinary commission announced the sanction for illegally profiling ethnic origins of potential young recruits after hearing from former officials involved in recruitment between 2013-18. The league also handed a €10,000 suspended fine to former PSG academy director Bertrand Reuzeau who was in charge from 2013-2015. 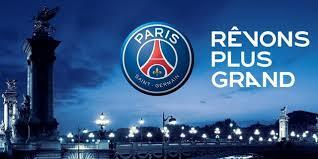 Marc Westerloppe and Pierre Reynaud, who were in charge of PSG’s recruiting, each received a suspended fine of €5,000. PSG admitted last year that forms with illegal content were used between 2013-17 but argued it was not responsible for implementing the policy. “The general management of the club never knew of an ethnic registration system within a recruitment department or possessed any such forms,” the club said at the time. “Paris Saint-Germain confirms that forms with illegal contents were used between 2013 and 2018 by the recruitment cell of the training academy dedicated to regions outside Ile-de-France (Paris area). These forms were an individual initiative of the head of this department,” it said. French law prohibits the collection of personal data that shows the racial or ethnic origins of individuals and prosecutors are also investigating the case after France’s Human Rights League filed a discrimination lawsuit.